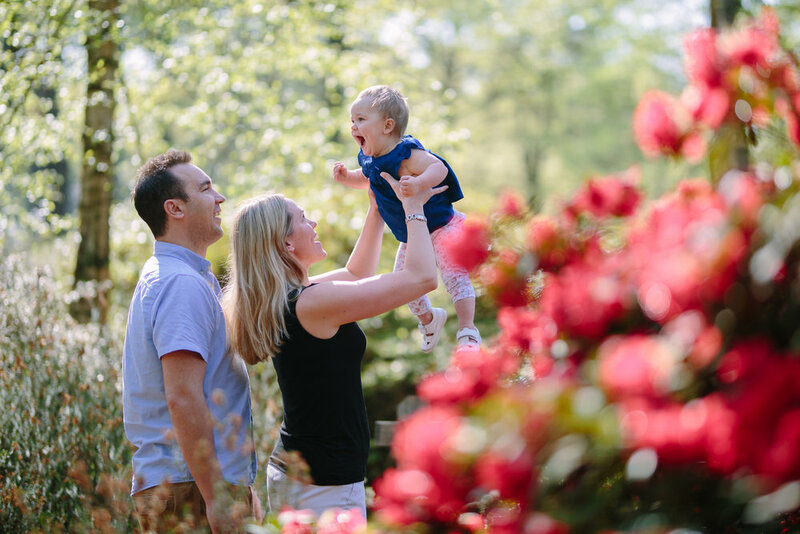 Hello and thank you so much for booking your extended family photography session with me, I am really looking forward to meeting you and capturing some special memories of you and your family. I have included some information below to help you prepare for your session and hopefully answer any questions you might have. For extended family sessions I usually recommend sticking to neutral colours such as grey, black, white, beige and navy as these are timeless. Textures such as linen, cotton, denim, corduroy, silk and lace always photograph wonderfully. If you all very organised and you want to make a statement with a co-ordinated colour scheme, you can choose a bold jewel colour or a soft pastel palette for everyone to work with. Do feel free to let me know if you would like further advice on what to wear if you don't want to stick to the neutral colour scheme. I am more than happy to talk you through co-ordinating colours for your photos. Avoid the matchy-matchy look (everyone is black t-shirts and denim will seriously date your photos). Also try to avoid large brand names or logos and busy patterns on clothing as they can be distracting. These images will be in your family for generations to come - so it's definitely worth putting some thought into what you might like to wear. The main thing to remember is to choose something you feel comfortable and great in! If you are having out an outdoor session, I will have scouted out the location before we meet to find the best places to take your photographs. I will direct you to stand or sit in certain places, according to where the light is best, but if you have booked me, then you are obviously not after stiff or overly posed photos. I take a more documentary/lifestyle approach (as you can see from my portfolio). I really want to capture those natural connections between you that make your family unique to who you are. So instead of having everyone posing for the camera for the whole session, I will do some posed photos and then encourage you to play or engage in an activity together to get those natural smiles and big, belly laughs. My sessions are fun, especially where small children are involved, and I keep things light-hearted and a bit silly to get the best out of you and your children. I aim to get photos of the whole family together, as well as individual portraits and family groupings so you have lots of variety in your final gallery. I promise to get your full gallery to you within 10 days of your session. I normally do an initial edit and I like to post some of my favourites on my social media accounts within a few days of our sessionsnas this helps me promote my business. If you do not want me to share your photos, please do let me know. Your gallery will be live for three months so that you can download, save and print your photos.